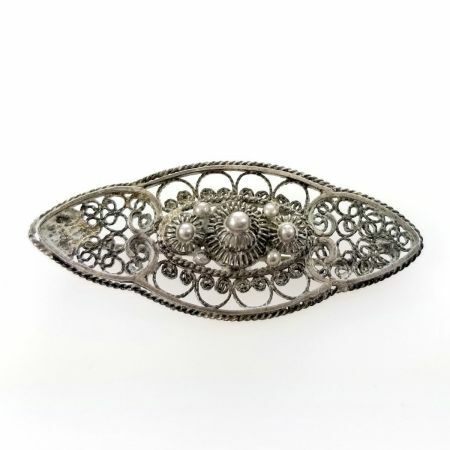 Description: A lovely silver Victorian intricately woven cannetille filigree rosette lace pin. 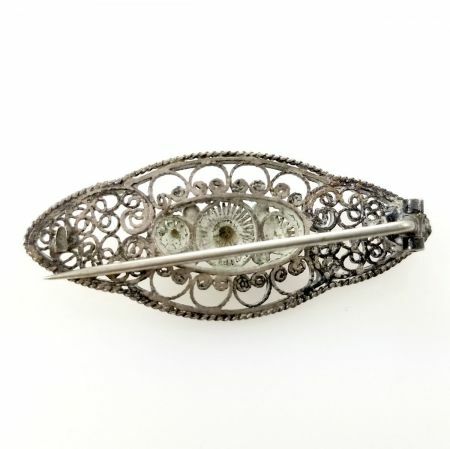 Has a tube hinge and c-clasp. It is unmarked but tests to be at least 800 silver. More than likely Italian in origins. Measurements: 1 1/2" in length by 3/4" at the widest point. Condition: Good condition with a repair to the C clasp which is a replacement. Shipping time: Ships within 1 to 3 days.